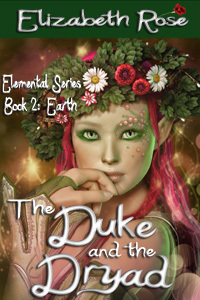 I am happy to announce that my 15th e-novel, The Duke and the Dryad Book 2: Earth in my Elemental Series is now available! Please click on the link above to read an excerpt. Duke Odwolfe of Manterra is known to his friends as Wolfe, and to his enemies as Duke the Destroyer. When his prized bull goes missing, he sets out to find it. It has been stolen for a sacrifice by the druids who are conducting their pagan ritual in the forest, within the circle of standing stones. And when he finds he is too late to save his animal, he demands one of them come to his castle as his servant in exchange for his loss. Rae-Nyst is an elemental of the earth, better known as a dryad. She has both fae as well as human blood running through her veins. She gets her power from the earth, however, fire can kill her. And when the Duke of Manterra decides to take her in exchange for his bull, she finds herself not able to fight him, as her power is draining quickly by the flaming torch he keeps waving in her face. Can a man who believes in nothing but war and destruction accept the exotic fae girl who honors all life instead of death? Or will she have to give up the ways of her nearly extinct kind in order to be with the man who has stolen her heart? Passion and fury rage in an epic adventure as two headstrong people find themselves faced with a dilemma that could either kill them or bring them closer together in The Duke and the Dryad. The Duke and the Dryad, now available at Amazon.com. Ok, this may sound weird, but as a writer there comes times when you just need to know what a group of animals are called. Today, I am going to be talking about groups of birds. Most of us know, a gaggle of geese, but did you know that only refers to geese on water? If you’re talking about a group of geese in flight, it’s called a skein. But if they are in V formation then it is called a wedge of geese. Didn’t think this would be so complicated, did you? Actually if you happen to see a V formation of swans, it is a wedge too. But who, I ask, has ever really seen a wedge of swans? Here are a few more fun group listings in case you’re curious. A murder or muster of crows (sounds like a book, huh?) An unkindness or congress of ravens, a chattering or murmuration of starlings. Ok, the starlings sound noisy. Let’s talk about the barnyard birds. A rafter of turkeys – (Why? Like they can even make it up to the rafters?) A raft of ducks (ok that makes sense), unless they are in flight then they are a team. A peep of chickens (cute) or a brood of hens. And for some groups of birds that no one will probably ever see – a charm of hummingbirds (charming, but they move so fast it’s hard to even see one), a descent of woodpeckers, a convocation of eagles, an ostentation of peacocks, and a colony of penguins. And to finish this off, here are a few of my favorites: A pitying of turtle doves, a bouquet of pheasants, a parliament of owls, (yep, better watch for that one), and an exaltation of larks. Well, hope you enjoyed my fun facts of the day. 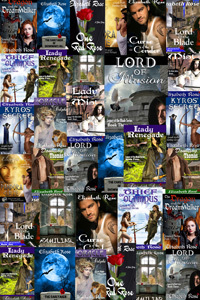 Stop by and visit my new website at http://www.elizabethrosenovels.com. Elizabethrosenovels.com. This is the address of my new website that I have been working on like a madwoman! I am happy with the outcome and want to share it with you. As an author, each book published is like birthing a baby. Once that baby is born, I need to feed it and nurture it or it dies. Trouble is, with over two dozen of these children, they are very time consuming. But this is my way of telling each one of them they are loved and cherished as only a mother can do. And the same as any proud parent, I want to show them to you. 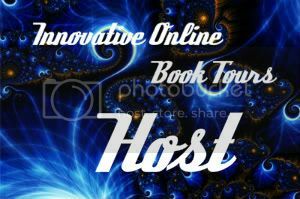 So please stop by and visit my website and drop me a note. You can sign up for my newsletter and be notified of future births of more of these babies and blogs as well. Thank you all for supporting me as a new independent e-book author. 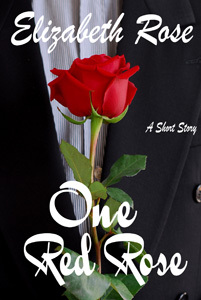 In gratitude for your support, I’d like to share with you for the next two days for free, my short story, One Red Rose.